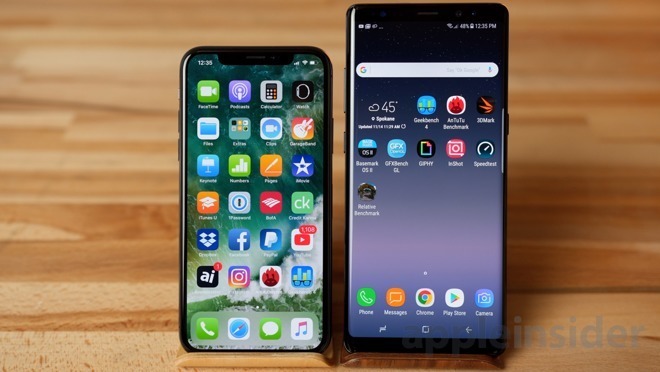 There are countless reasons users may opt to jump from one mobile operating system to another, but the results of a recent poll suggest hardware pricing and user experience are key factors in making such decisions. 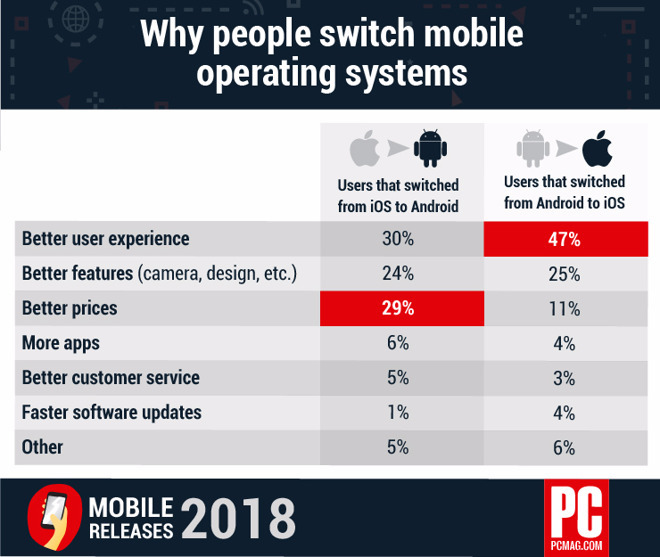 PCMag recently conducted a survey of 2,500 U.S. consumers to shed light on the mobile switcher phenomenon as it pertains to iOS and Android, the segment's two dominant platforms. Only 29 percent of respondents actually admitted to swapping sides, while the rest remained steadfast with their platform of choice. Interestingly, more traded in Android for iOS (18 percent) over those that went from iOS to Android (11 percent). Of those polled, 54 percent had an iPhone, while 27 percent had a Samsung handset running some flavor of Android. According to the poll, 47 percent of those who moved to iOS (which comes to around 202 people) said they moved to iOS for a better user experience, while 30 percent of those switching to Android said the same thing. Android's biggest benefit over iOS was cost, where 29 percent of those who went to Android cited the lower prices, presumably attached to hardware. Other features were less compelling, including better features, better apps, better customer service, and faster software updates. The survey included a few other bits of information, including the fact that 56 percent of those polled don't care about the release of new smartphones, while 34 percent buy a new phone when their contract expires. Over half said they only replace their phone when it breaks.